The distance between Modi and the BJP is growing. Some powers in Sangh Parivar ,are they angry of that their goal is not fulfilled? 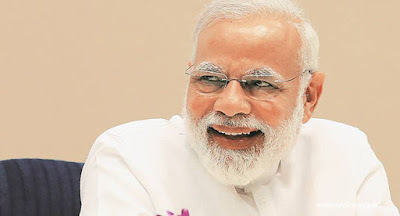 That's what the comments made by the two leaders recently are tells as true.Extreme comments of VHP and RS in the Sangh Parivar, the suspicion is seems as trueModi is being overwhelmed by the ongoing hurdles in the country,Many say that the words of these two leaders are pushing modi into the difficulties. In fact, in the last election, the BJP has a higher majority, and the RSS and the VHP have conceded that Modi will fulfill their long-standing wishes. But he is angry with him because he is not four years old. The Ram Mandir in Ayodhya destroyed the Muslims not in India. We have the right to restore the freedom and destruction of the Rama Mandir. Today's RSS chief Mohan Bhagwat comments. In the past, he said that slogans such as 'Congress-Mukt Bharat' are just political and they have nothing to do with it. But the point here is that he made these statements on the BJP's 'Congress Vimukthi Bharat' slogan by the BJP and Modi government, which claims to be RSS ideologist. Praveen Agoda, the best-known leader of Vishwa Hindu Parishad, said that he is going to seek a holiday from Hindus on Tuesday. He announced that he was leaving the company after his nominee for the VHP's international presidential election. After making his remarks with his supporters in Ahmedabad on Sunday, he made vital comments on Modi. In the past four years, the Modi government has disappeared. The 2014 VHP has announced full support to Modi in the 2014 elections, but he has been shot as goons for goats. The ban on Govadha, the Ram Mandir in Ayodhya, and the construction of demands will be prohibited.